Why do fools fall — and stay — in love? UC love experts discuss the science behind romance. 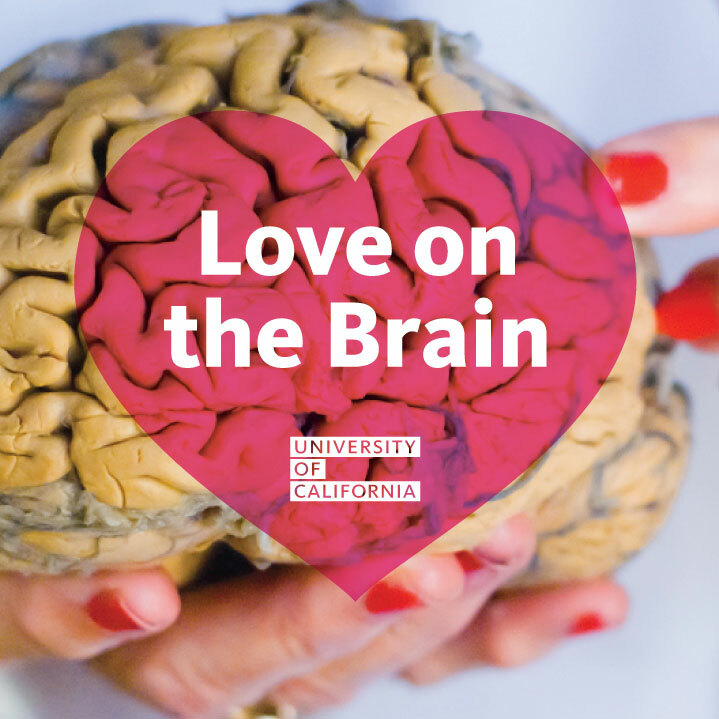 To solve the mysteries of the heart, look no further than the human brain, say three UC researchers who study the science of love. Watch our Valentine's Day discussion on the chemistry of love above. In a Facebook Live interview on Valentine’s Day, three renowned UC Berkeley psychologists and neurologists — Arthur Aron, Robert Levenson and Emiliana Simon-Thomas — discussed the drug-like effects of budding romance, and how that differs from the psychology and brain chemistry at work in a long-term relationship. In lasting relationships, the body’s physical response changes. What are triggered are not reward centers, but areas of the brain deep in the nervous system associated with caring and nurturing. Rather than the heady dopamine rush, the brain releases chemicals associated with calm and contentment. “In the early days, you want those fireworks to go off but for it to last, you need to be with someone you are able to sit quietly with and be satisfied and feel supported,” said Levenson. He studies married couples to find out if marital success is in the genes. The key to keeping relationships healthy over the long-haul? The researchers say, in a word: work. One secret to harmony — ironically — is conflict. Successful couples learn through trial and error how to effectively navigate and resolve disagreements. Practicing gratitude for each other and seeking out new experiences and friendships together can also help to keep the flame of romance alight. But for those couples who do go the distance, the emotional and physical benefits can be far-reaching. As the head-spinning, giddy rush of romance fades, what is left can be something much more profound: the sense of being truly valued.